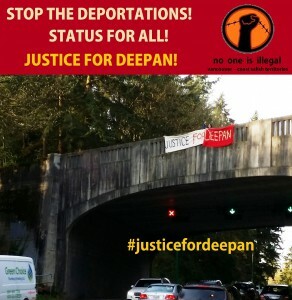 This morning NOII- Vancouver, Coast Salish Territories Â joined over 10 cities in a National Â banner-drop day of action in solidarity with Deepan Budlakoti in his fight against double punishment and to restore his citizenship. 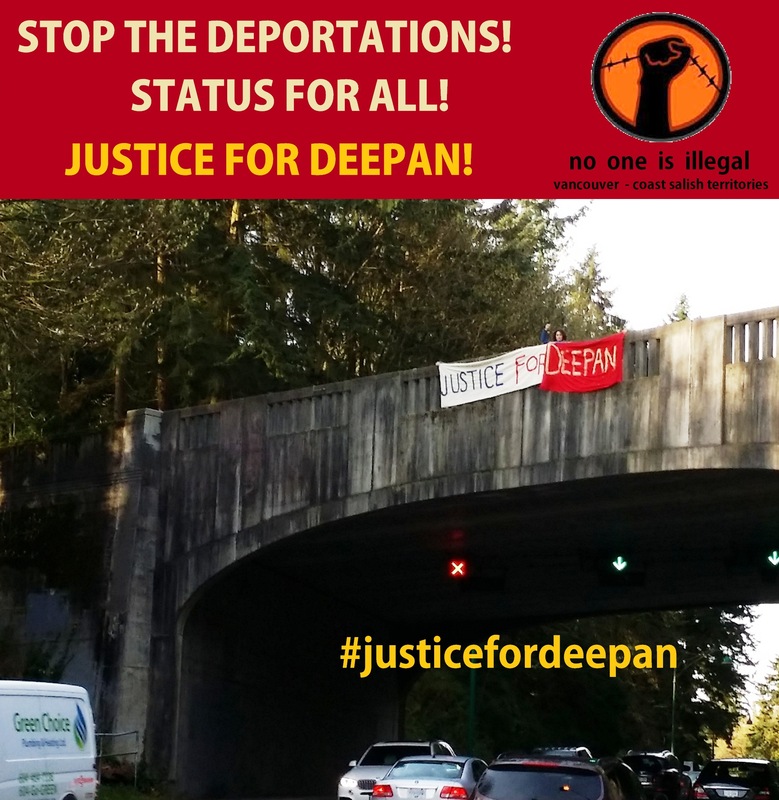 We stands in solidarity withÂ Deepan in his struggle for status and dignity. We continue to fight alongside all migrant communities inÂ resisting racist immigration policies and systems that exploit andÂ dehumanizeÂ migrants. End double punishment!Â Stop the deportations!Â Status for all!